We’ve been hearing for some time now that Google and Motorola are working together on the next Nexus device, codenamed “Shamu.” The latest scuttlebutt on the matter reiterates the rumored 5.92-inch display and reveals a few other design delements. 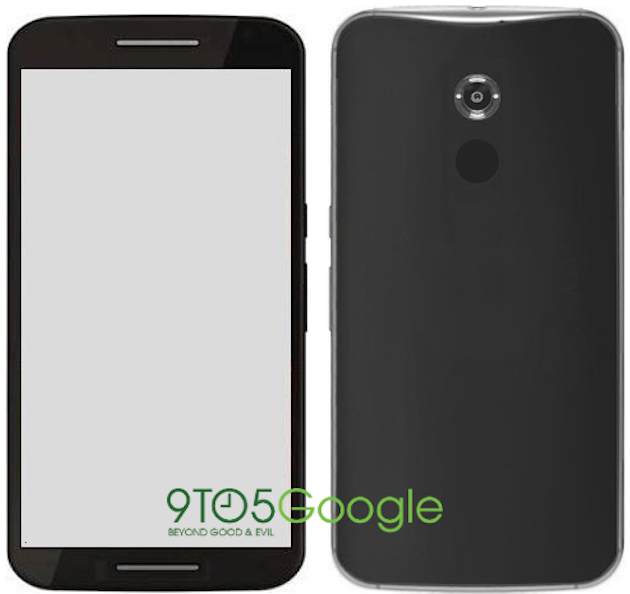 According to 9to5Google, the Nexus 6 won’t be all that different from the second generation Moto X – the site even called it a “scaled up” version of Motorola’s latest. There will be some minor tweaks designed to make the screen easier to use and the volume / lock buttons will be positioned a bit lower but that’s about it. As for specifications, the 5.92-inch display will be of the QHD nature (2,560 x 1,440) with a pixel density of 498 PPI. A 3,200mAh battery will be tasked with powering all of those pixels throughout the day. Around back is a 13-megapixel camera rumored to be able to shoot 4K video at launch. A 2-megapixel camera will be used on the front, identical to the one on the second generation Moto X. The device is expected to run a Snapdragon 805 SoC with 3GB of RAM although the publication hasn’t seen any indication that it’ll run 64-bit Android L.
Wrapping up, the publication believes the phone will arrive with Nexus branding. Depending on pricing, it could easily turn out to be the best Nexus smartphone to date. We should find out for sure in the not-too-distant future as it is slated to be announced late next month with an early November launch.